The aim was to take advantage of the site context and views, all within a cost effective structure. The land offered a panoramic view South towards Hanging Rock. The challenge was to orientate to the view and maintain direct northern light through the house. With its location on a hill, sculpting of the land was required prior to construction. This physical integration of the built form with the surroundings reinforces the project’s connection with its context. 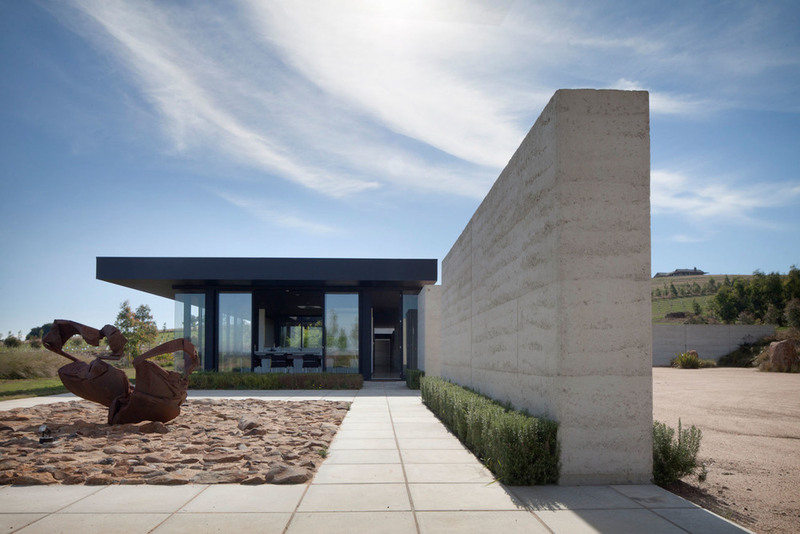 The built form tries to express harmony, strength, oasis and a sense of calm to reflect the country setting using local material in part for the construction of the earth walls. 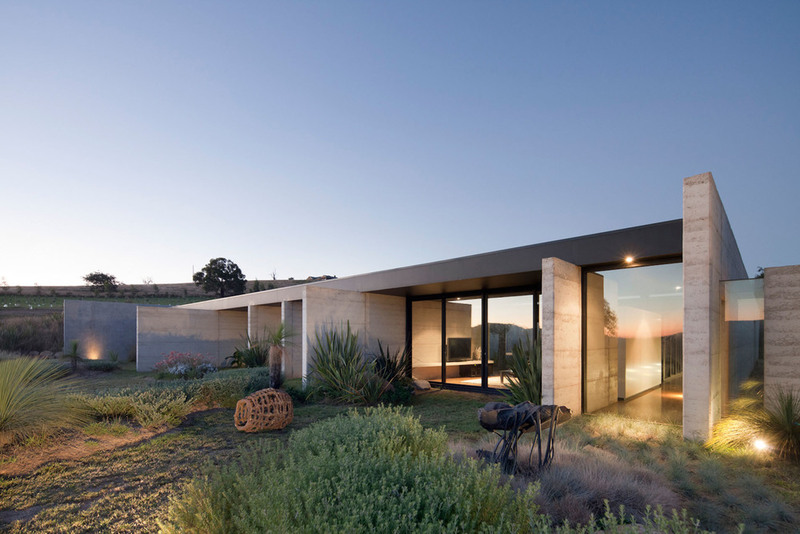 The approach to the house is deliberately nonlinear borrowing from ancient traditions. Therefore, there was no provision for a ‘front door’ but instead there is an ‘arrival courtyard’.